One of the best Steakhouses in London. MASH is best known for its amazing interior and design, premium quality steaks, coveted cocktails and wine. MASH has a list of industry awards, such as the Best Steak Restaurant and Best Wine list. 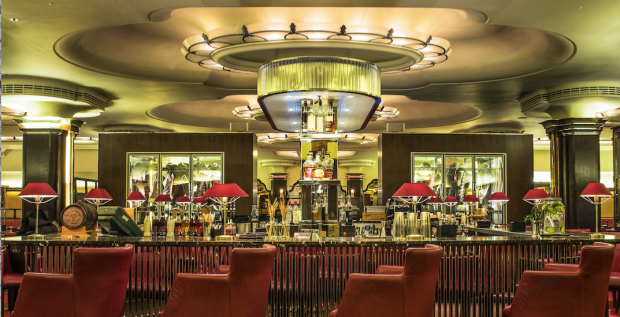 Located in one of the most iconic art deco buildings in Soho. Let someone indulge with our dry-aged Danish beef, try a fantastic piece of Wagyu, sample tender corn-fed American beef or taste specially selected Uruguay Hereford beef. To the steaks, we add an inimitable wine list, which includes one of the largest selections of American wine outside the US, five-star service, mouthwatering side dishes, truly tempting desserts and incredible cocktails. MASH was part of the 800-room Regent Palace Hotel, a Belle Époque beauty that was later given the Art Deco treatment. Everyone needs to discover the original woodwork, gold leaf architrave, marble, brass and gold feature. The effect is magnificent—the type of cavernous space you can barely believe exists under the mess of streets in Soho.